Do you love video games where driving enthusiasts can use a controller to speed down the stretches of famous tracks and challenge yourself on those hairpin turns? Get that same feeling with a stunning new 2018 Jaguar F-TYPE equipped with InControl Apps, a GoPro, and the fun new Jaguar GoPro ReRun App! This fun app enables real-time video to be overlayed with key performance information from your exciting new Jaguar including speed, throttle position, gear selection, braking force, g-force, and steering wheel angle. 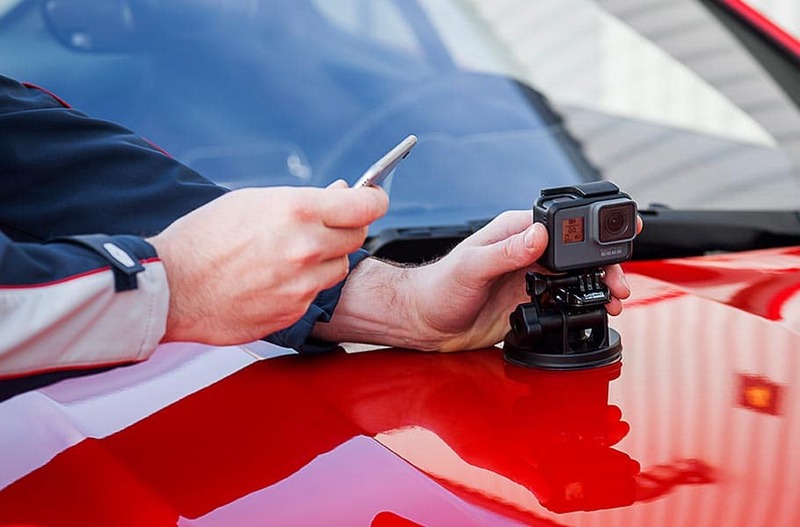 Just connect your smartphone wirelessly to a GoPro4 (or newer) mounted to the hood of your new 2018 Jaguar F-TYPE and connect to the USB on your Jaguar’s infotainment system. It’s that easy! Just start recording and driving! A unique feature on the app analyzes the data to capture highlights. When finished, the ReRun App allows you to download the entire video or just the highlights. A convenient editing mode is also included. Share your high-quality videos on social media and be the envy of all of your friends! Jaguar Colorado Springs has an exciting new 2018 Jaguar F-TYPE in our inventory. Contact us for more information on this stunning sports car and start recording your performance videos today!